What better way to celebrate the end of midterms than by spending a weekend in Florence, the birthplace of the Renaissance? Just being able to go on a plane and an hour later be in a different country is still so surreal to me. 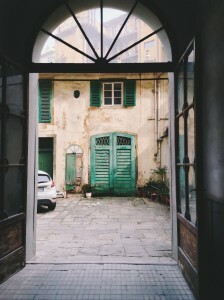 Visiting Italy has been on my radar since I have been in Europe! I went with my friends Amaya, Jess and Miguel, and the four of us stayed in an Airbnb apartment that was conveniently located near the center of Florence. There was a tiny courtyard in our apartment building! We were only in Florence until Sunday afternoon, so we woke up early Saturday morning to get in as much exploring and sight seeing time as we could. 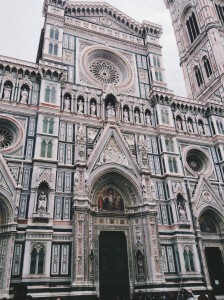 From our apartment, the famous Cathedral Santa Maria del Fiore was a 15-minute walk. It’s an absolutely stunning building made of colored marble and ornate paintings; attached to it is the outer dome or duomo, as it is referred to in Italian. 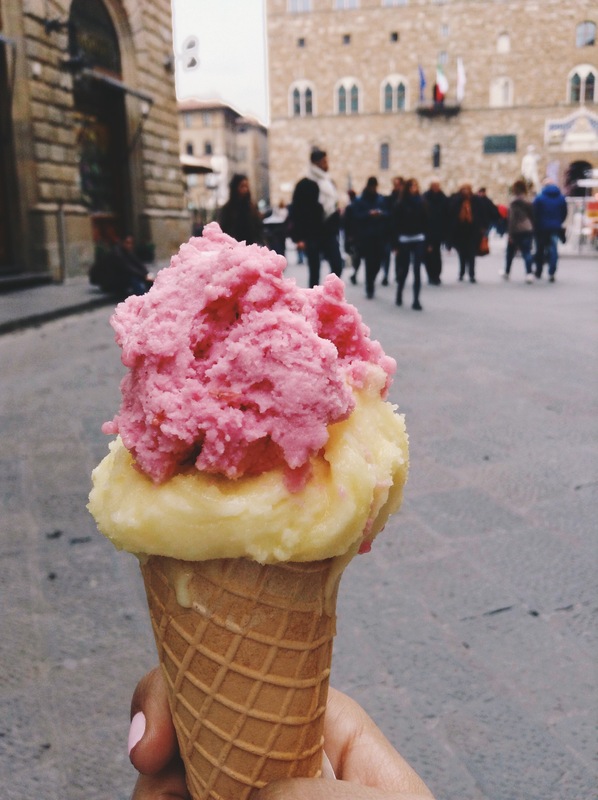 I’m pretty sure you know this, but Italy is famous for their gelato, and believe me when I say that I ate so much more gelato than actual food! It was honestly as delicious and sweet as I thought it would be. 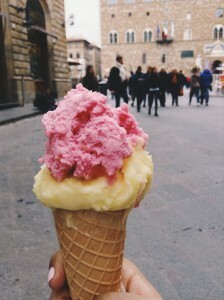 Each time we passed by a gelateria, I would run over and see which flavors they had! 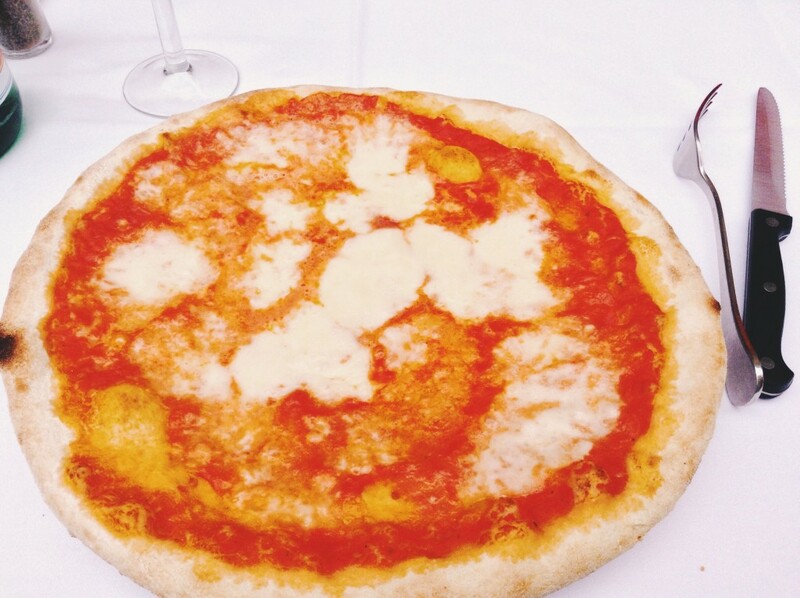 Walking around made me pretty hungry, so I couldn’t pass up the opportunity to try the famous pizza margherita while I was in Italy. It was so good! I am pretty sure we walked the entire city of Florence (okay-maybe I am exaggerating just a little), the whole time we were there. Although my feet were sore and we did get caught under a mini rain shower, the highlight of my 72 hours in Florence was seeing the city from the top of the Piazzale Michelangelo (or Michelangelo Square)! To get to the square, we had to walk up quite a lot of stairs on top of a hill. 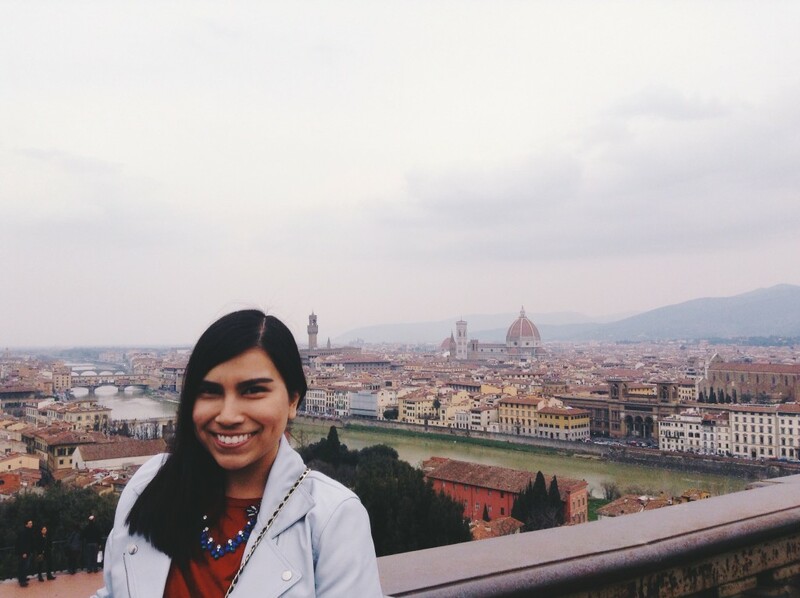 Once you got to the top, you can see the beautiful view of Florence! 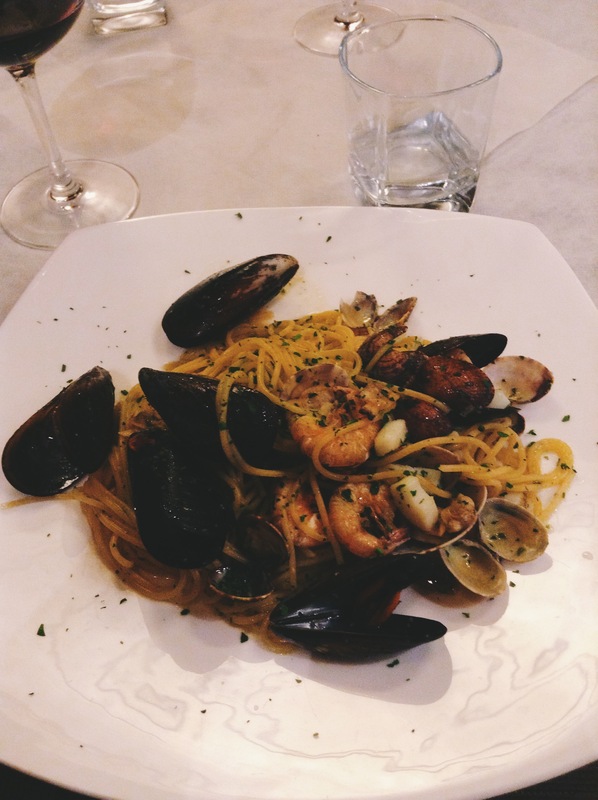 I may have only been in Florence for 72 hours, but I am pretty sure I left a piece of my heart in Italia. I can only hope this won’t be the last time! Can you spot the Duomo in the background?